Jim Phillips has always believed in the Wildcats’ ability to grow. 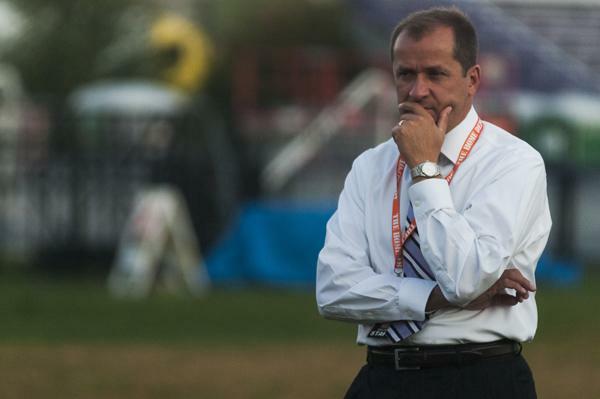 He became Northwestern’s 21st athletic director in 2008. Four hours before kickoff Oct. 5, thousands of students lined up outside Gate T at Ryan Field in anticipation of Northwestern’s matchup against Ohio State. 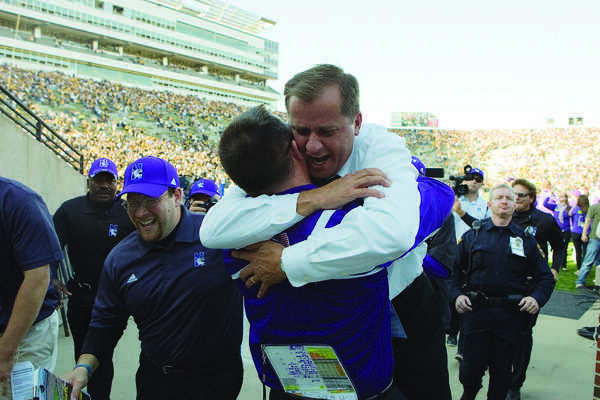 It’s a scene many people wouldn’t have expected when Jim Phillips became NU’s 21st athletic director on April 14, 2008. But Phillips always believed in his football team’s potential. Phillips’ achievements at NU do not surprise Jordan Cornette, who played basketball at Notre Dame from 2001 to 2005, overlapping three years with Phillips’ tenure as an associate athletic director there. The basketball analyst at Campus Insiders interacted with Phillips almost daily when he was a student at Notre Dame, and Cornette said he knew then that Phillips would be a great athletic director. However, NU’s rise to the top was a long one given its unique circumstances. It is the only Big Ten school in the top 15 of the U.S. News and World Report rankings, and the academic requirements thin out the pool of potential recruits. Other obstacles include funding and limited space for athletic facilities. The balance between academics and athletics is an issue many athletic directors, including Phillips, have to deal with. But the situation at NU is different. NU’s position at No. 12 in the U.S. News and World Report rankings has long been the excuse for the Wildcats’ lackluster performances on the playing field. However, Stanford, with its elite academics and successful athletics, is a school NU believes it can emulate. The Cardinal rank in the top 10 of the annual rankings and have won the Directors’ Cup — a competition run by the National Association of Collegiate Directors of Athletics that awards points based on the success a university has in a maximum of 20 sports — for 19 consecutive years. William Osborn, chairman of NU’s Board of Trustees, emphasized that athletics is one of many priorities. 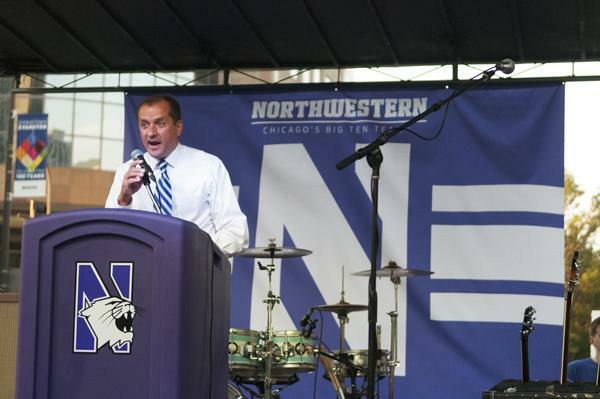 Osborn highlighted that although many students and alumni are proud of NU as an educational institution, the athletic teams seem to instill the most pride. This feeling showcased itself when the Cats went to the Rose Bowl in 1995 and appeared again when NU played Ohio State on Oct. 5. However, Osborn said the Board sees schools like Stanford and realizes NU could be just as successful athletically. The academic component is not the only obstacle standing in the way of athletic success at NU. The school is lagging behind in renovating facilities, particularly for the football and basketball programs. The administration unveiled plans for the new Ryan Fieldhouse on campus near Lakeside Field last September, but no ground has been broken on that project. And there is still some work to be done at Welsh-Ryan Arena, which was built in 1952 and hasn’t been fully renovated since the 1980s. From the Board’s perspective, any new facility would have to also benefit non-athlete students, which corresponds with the “recreation” part of Phillips’ job title: vice president for athletics and recreation. This was a big emphasis when Ryan Fieldhouse was being conceived, and Osborn said it will be important when the next pieces of the athletics facilities need to be built. Jim Phillips hugs football coach Pat Fitzgerald after Northwestern beat No. 4 Iowa on the road. It was one of the program’s first major victories after Phillips became the athletic director in 2008. It is easy to heap praise on the leader when a group is successful, but Phillips humbly passes off the credit to his staff, coaches and student-athletes. However, football coach Pat Fitzgerald said at Big Ten Media Days in July that NU’s athletic achievements can be credited to only one person: Phillips. Even if there has been a direct correlation between Phillips’ arrival and the department’s skyward trend, many of the factors that have made NU a national name were in place before Phillips stepped onto campus. Fitzgerald was hired by Murphy, Phillips’ predecessor and current president of the Green Bay Packers; women’s lacrosse coach Kelly Amonte Hiller began at NU in 2001. In all, 13 of the 19 head coaches currently employed by NU held the position before Phillips came to Evanston in 2008. One could argue the real start of NU’s success began under Murphy. It was during his tenure that the football team won at least six games in four out of five seasons and the women’s lacrosse program won its first three national titles. However, the athletic department as a whole has showcased its strength in the Directors’ Cup. NU ranked 51st in the standings for the 2003-04 season, Murphy’s first in Evanston, and finished in the top 30 the next three years under Murphy’s leadership and 40th in 2007-2008. The Cats haven’t dropped out of the top 50 since Phillips took over, but their highest finish was 40th for the 2012-13 campaign. It is a fact that goes largely unnoticed when football and men’s basketball are the focal points of the college sports world. Murphy acknowledged the strength of the department as a whole but highlighted that the perception will change as football continues to have success. Osborn, who was first elected to the Board in 1996, said the transformation began in the mid-1990s. The change may not have happened overnight, but Osborn said both Murphy and Phillips possess strong executive leadership qualities that have allowed NU to flourish athletically. Jim Phillips’ biggest marketing campaign has been the “Chicago’s Big Ten Team” initiative that started in 2010. It has helped increase ticket sales. One of Phillips’ biggest successes has been the “Chicago’s Big Ten Team” marketing campaign launched in 2010, only one of the many ways Phillips has made his mark on NU. In December 2011, he orchestrated the deal to become the first Big Ten school to be outfitted by Under Armour, a partnership that has proven beneficial for both sides. In February, Phillips stood at Wrigley Field to announce an unprecedented multi-year partnership between the Chicago Cubs and NU that would allow cross-marketing opportunities for both sides and bring numerous NU sporting events — including five football games, a baseball game and a lacrosse matchup — to the Friendly Confines. Public relations aside, Phillips has already impacted the department with the coaches he has hired during his short tenure. Of the four he brought in from outside NU, two were well-established coaches at mid-major programs who had much success at their previous positions. The other two were assistant coaches at marquee programs who many expected to be great head coaches. The latest hire was Chris Collins, who came to Evanston after 13 years as an assistant at Duke. Collins said he had instant chemistry with Phillips because of how the athletic director came off in initial meetings during the interview process. All four coaches Phillips has hired have been tremendously successful at NU and are vast improvements over their predecessors. The women’s basketball program won 24 games in the four years under Beth Combs, but Joe McKeown won 25 games during his first two seasons. The field hockey team has won at least 10 games in all five seasons with Tracey Fuchs for the first time since 1995. Michael Moynihan led women’s soccer to three Big Ten wins last year in his first season, which was as many as NU had during the previous two years combined. Collins’ hiring has generated significant hype and publicity, even though the team has yet to play a competitive minute this season. 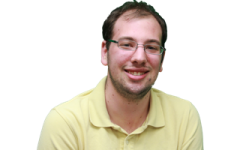 NU is long past the dark ages of the 1980s and early 1990s, but athletics can still be better. The student-athletes can still improve academically, they can still do more in the community and of course, they can still perform better on the field, Phillips said. The Cats’ football success has already caused Fitzgerald’s name to come up for every major job opening. Phillips’ name has also been linked to gigs at Illinois and Stanford, which boast bigger athletic departments. Cornette said Phillips would have success anywhere he goes, adding that Cats fans should worry about bigger schools coming and trying to poach Phillips. However, Phillips has the support of many of NU’s key decision makers and one very influential coach. Fitzgerald said he talked with University President Morton Schapiro, Osborn and Patrick Ryan, a lifetime member of the Board of Trustees, to discuss keeping Phillips in the long term. He added that there was no one else he would rather work with than Phillips and is happy the two are now contractually connected, with both deals expiring in 2020. What ultimately keeps Phillips in Evanston is the support and security the University has given him and his family. He views working at NU as a lifestyle, not a job. Phillips said he is pleased with what NU has been able to accomplish under his leadership, but he knows there are better things to come for the Cats. “I really believe this has been the ultimate collaborative type of effort,” Phillips said. “There’s been some vision that’s been laid out and we’ve executed on that. I’m really proud of what we’ve have been able to accomplish.